Fortified with a blend of skin nutrients such as green tea, chamomile, aloe vera and echinacea. Hydrospritz is both a settin gagent for the loose mineral foundation and is powerful at drawing moisture and vitamins into the skin. 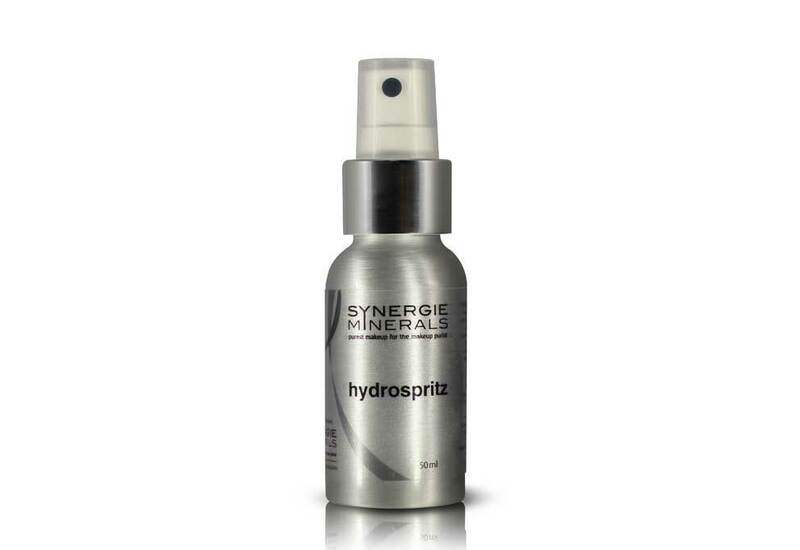 Description: HydroSpritz is a multi-vitamin facial spritz. It plays a dual role as it sets loose minerals in addition to infusing the skin with anti-oxidants, hydrators and other nurturing ingredients throughout the day. Key Ingredients: Sodium PCA – a powerful hydrator, drawing moisture to the skin.Aloe Vera – soothing, anti-inflammatory and hydrating.Apple Fruit Extract – antioxidant rich in polyphenols, protects cells from free radical damage.Green Tea Extract – powerful antioxidant to neutralise free radical cell damage.